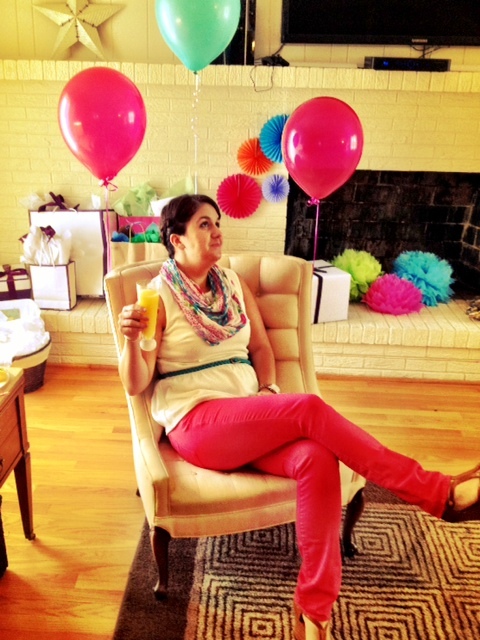 This weekend, I threw a bridal shower for one of my best friends, Stephanie. My fellow bridesmaids co-hosted the soiree and with everyone's help, it could not have been easier! 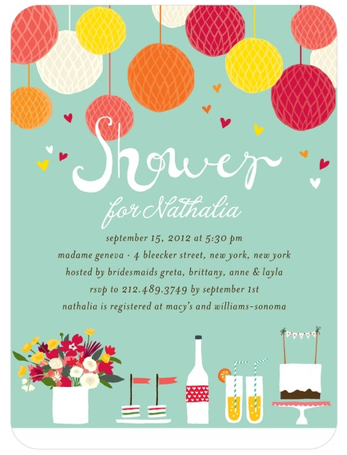 We found this great invite on weddingpaperdivas.com, which matches her wedding theme perfectly. Stephanie is all about color and her wedding will be full of bright pinks, oranges, and gerber daisies galore. I can't wait! Are you ready for a surprise? 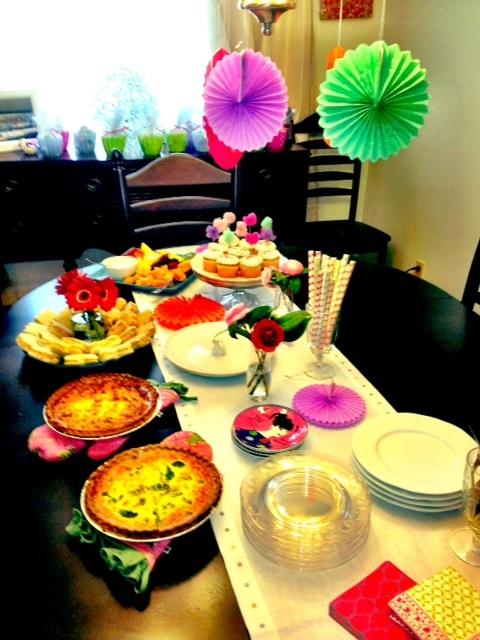 My contribution for the day was quiche! I feel like i'm turning into a quiche making machine, but it's just a happy coincidence i've been hosting a lot of brunches lately. I focused most of my energy on the shower decor. I found these colorful paper fans to coordinate with the invite at Target and hung them from the chandelier and around the fireplace. I like to set out a variety of plates as well - both because I like the different colors and sizes, but also because I don't have more than 8 of any one kind! 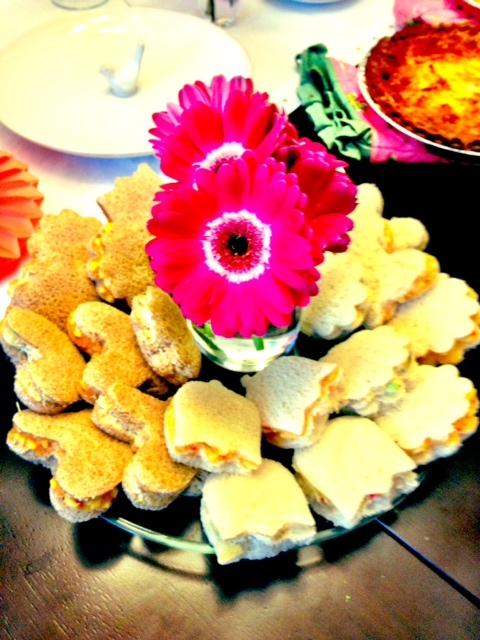 Lindsey made these adorable tea sandwiches for the buffet. She used spring cookie cutters for the tulip and heart shapes and filled them with either pimento cheese or chicken salad. Yum! 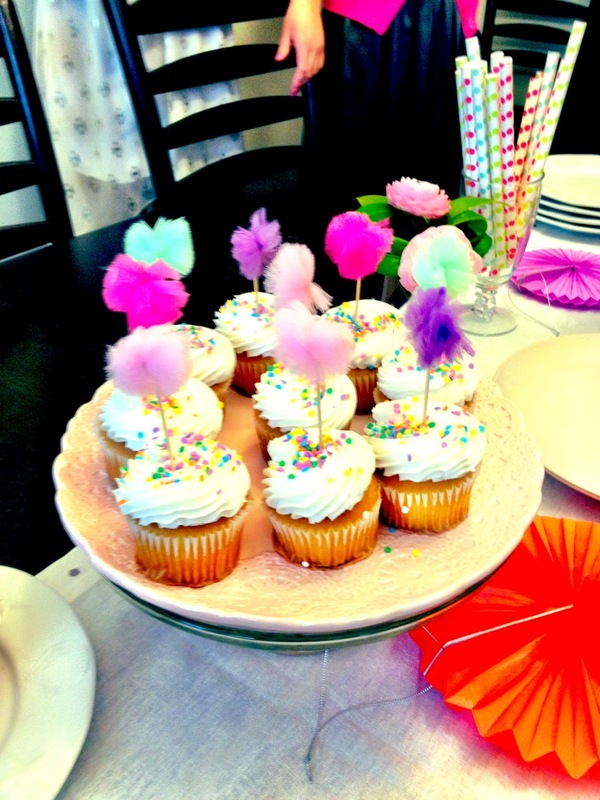 Tara supplied the cupcakes and I accessorized them with these great cupcake toppers I found at Target. It's all in the details afterall! 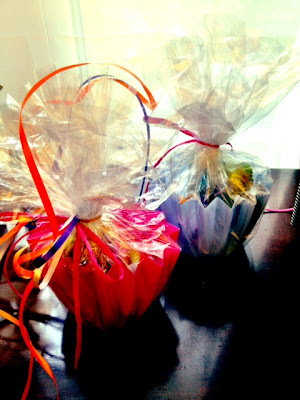 My sister made the most amazing party favors so everyone had a sweet parting gift. She used cupcake wrapper containers from the Container Store and filled them with handmade soaps, monogrammed lip balm with Stephanie's wedding date, hair ties, and jordan almonds. She wrapped them up like cupcakes and we used them for decoration and balloon weights. The beautiful bride was even kind enough to coordinate her outfit with the decor! 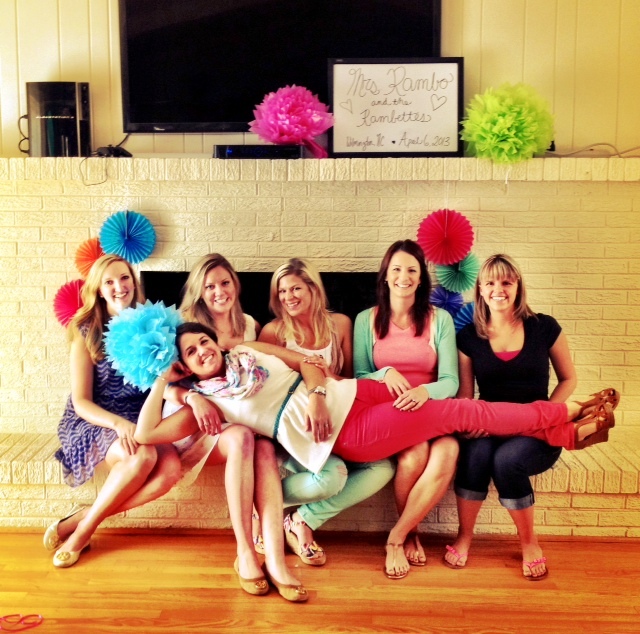 All in all, I'd say it was a successful celebration of Ms. Soon-to-be-Rambo! Time to start the wedding countdown! First off, the chef and coordinating staff is amazing. They totally worked with us to make our day turn out exactly as we wanted. This is a really great ideas i like it Send gifts to Pakistan .